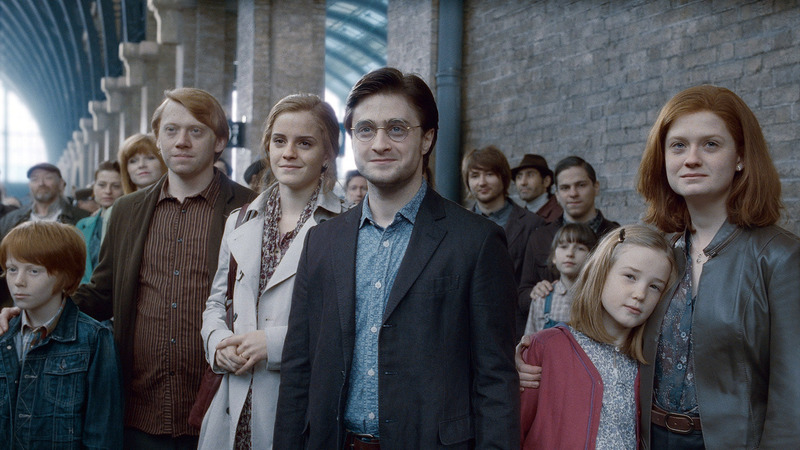 On this day in J.K. Rowling's magical world, Harry Potter is a married father of three. 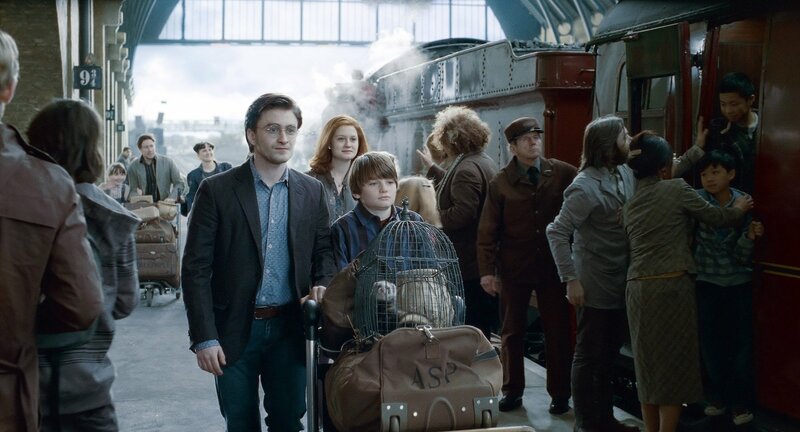 According to J.K. Rowling’s epilogue to Harry Potter and the Deathly Hallows, September 1, 2017, is the day Potter and his childhood friends ship their children off to Hogwarts on Platform 9 and 3/4. The anniversary has many fans of the children’s fantasy book series breathlessly expressing nostalgia on social media, but what many Potterheads aren’t realizing is that the Potter crew has officially outgrown us. The first Harry Potter novel was published in the UK in 1997, when its protagonist turned 11 and received his invitation to attend the Hogwarts School of Witchcraft and Wizardry. Legions of fans around the world fell in love with his story when they were around the same age as Harry himself. Because of Rowling’s impressive publishing schedule, many of us grew up alongside our bespectacled hero, standing in line during our preteen years in 2000 for a copy of Goblet of Fire, in which a 14-year-old Harry sneaks into the Triwizarding Tournament, typically open only to student wizards age 17 and above. In Deathly Hallows, Rowling’s final novel about Harry, the young wizard turns 17, and the epilogue being celebrated today fast forwards 19 years into his future. According to the books’ timeline, Harry was born in 1980, which means he’s in his mid-30s by 2017 and has three children with Ginny Weasley. Though Harry grew up alongside his readership, it’s in Rowling’s epilogue that his lifestyle shoots forward and leaves his prime demographic in the dust. Domesticity of this intensity in one's mid-30s looks insane to people now. When Deathly Hallows was published in 2007, Rowling apparently believed it was reasonable to assume a man in his mid-30s could be married and have three children. It’s notable that just this week the New York Times announced new data that shows the average age of fatherhood in the United States has risen to 31 for the first time in history. In Great Britain, where Harry Potter is from, first-time fathers over the age of 35 made up 40 percent of all births in 2003. That statistic has only risen since, making Harry Potter an unusual figure, as a married man in his mid-30s and a father of three. Now, procreating and getting married aren’t mandatory life choices for young men moving into adulthood, and having children doesn’t automatically make you an adult in contemporary society, but it’s worth mentioning that devout Harry Potter fans have been lambasted in 2017 for failing to expand their worldview beyond a series of books about magic wands. Countless political writers of the millennial generation have published think pieces comparing President Donald Trump’s administration to fictional characters from Rowling’s novels, which has created an embarrassing feedback loop of shallow social commentary which mostly plays out on Twitter. Rowling herself has been satirized for adding in politically correct subtext to her novels years after she finished publishing them, as if revealing that Albus Dumbledore was silently gay through the entire franchise will make the classic series culturally relevant again. The fact is, adults in our 20s and 30s who grew up reading Harry Potter novels have, generally, carved out new paths into adulthood that don’t necessarily involve having children in our 20s or getting married to our high school sweethearts as Harry did. Changes in contemporary society that Rowling couldn’t have predicted make her wizard novels feel a little dated now, but that’s to be expected. The process of aging, like closing a children’s book and searching for more age-appropriate texts to contextualize our world, is a natural part of becoming an adult. Harry Potter doesn’t have to be redefined as useless trash for children in order for us to loosen its hold on our generation, but our tastes do need to mature. We have already outgrown the antiquated trappings of previous generations — an entire career devoted to one organization, marrying our first ever partners, devoting our late 20s to multiple children — and we’re capable of discovering new images of contentment in our adulthood. So, for god’s sake, people of Harry Potter’s age, put your “wands down” and pick up a book, any other book.